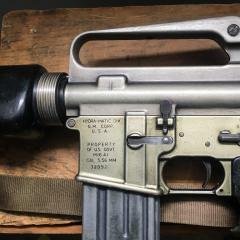 Up for sale is a Complete German HK 23e Parts/Conversion kit with the Following: 1-HK German 17.7" 23e Barrel like new only test fired comes with German Barrel Carrier in excellent shape. 1-HK German 23e Complete Feedmech, Setup with Belt Inlet face protector 1-HK German 23e Complete Bolt Carrier Group includes 23e carrier, New in Wrap 23e Complete Bolt Head, 23e Firing Pin, 23e Firing Pin Spring, 23e Locking Piece New marked 20t, Includes extra set of Titanium Half Rollers also. 1-HK German 23e New in Oil Wrap Belt Box 1-HK German 23e Maintenance manual 1-HK German 308 Cleaning Kit Small extra parts kit included, New Recoil Rod Assembly 21e/23e, 23e extractor, 23e extractor spring, 23e Firing Pin, 21e/23e Base Sight Assembly I am looking to sell everything together and I am asking $15,800 Delivered USPS Registered Mail with Full Insurance. Payments accepted Cashier Check or USPS Money Orders Only NO PAYPAL............ If you wish to inquire about buying individual parts please PM's me. Thanks for looking, Check my Feedback on HKPro and Buy with Confidence. Will be Cross listed timestamp will matter. WTS: Parts Kit - HK German - HK53A3 - Like New - RARE! HK German HK53A3 Parts Kit - Like New Condition This is a rare opportunity as the HK53 is now out of production. This is a very rare and desirable parts kit new straight from HK Germany. Like new Condition with Slight Cosmetic Blemishes Includes all the latest upgrades and desirable options. A3 retractable stock 0-1-25 SEF lower 1/7 twist factory cold hammer forged German barrel with factory 4-prong flash hider All parts included minus the receiver included Price: $3,499.95 You can call us at 801-987-3494 if you have any questions or to place an order. I sold my MP5 so I don't need these. Parts are absolutely new factory, German, never used. $250 for the lot, shipped to lower 48 USPS flat rate. USPMO, no personal checks. Parts ship within 24 hr's of receipt of funds. No trades. Thanks, R.Leyshion, Jr. This is a reproduction Yugo M48, German Mauser K98 MP44 Sling. The sling is made of quality leather and comes complete with metal hardware and keeper/buckle. As expected, it is fully adjustable. This is a newly made reproduction item, so expect the leather to be a bit stiff when it arrives. 47.5" long and 7/8" wide. Complete with buckle and keeper. If you own a Mauser K98 style rifle that doesn't come with a sling, this one is definitely a good one to own! $13.95 shipped CONUS. I accept PayPal and CC. No fee for discreet PayPal. DM me for payment info and reply to listing for any questions. For your consideration, a German M1871 leather cartidge pouch. These were issued with the G71 Mauser rifles during the Prussian War period, and were subsequently used up through WWI by German forces. This pouch is dated 1880 on the inside of the flap, nice clear markings. Pouch is in good condition overall, all straps are in tact with no tears or major damage. The pouch does show its age, some stitching is missing n the rear seam on the top flap, but the vast majority is there. All of the cartridge holders are present on the inside and in tact. It is in pretty good shape considering it's 136 years old. A once ubiquitous, now seldom seen piece of history that would be great for your German Military display! Sold as is, see pics of condition. $95 OBO shipped to US Prompt Paypal for payment No trades CROSSPOSTED Thank you for looking!! Very nice "IB" date coded HK91 in the correcteblue/grey colour for that era (1981). This one appears to be a low round count weapon and has the matching buttstock and wide forend. 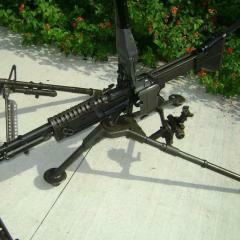 It also has an HK German bipod (not a copy) and a rare German SG1 buttstock. It has a Williams WSG1 set trigger. Looks similar to the real SG1 trigger. This modification costs around $250 to have done, and allows for a match grade trigger pull. You can also use the trigger mechanism in the standard mode. In addition, the rifle comes with the original HK91 manual, a cleaning kit and 5 magazines. I will put more in with it if I can fit them. 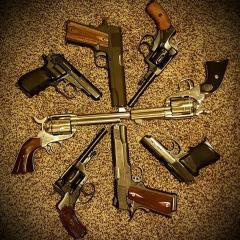 Must ship to an FFL and it is up to you to know your local laws. This is a pre ban , pre 89 weapon. Personal checks held to clear but prefer money order or cashiers check. $2700 plus $25 shipping via priority mail in the CONUS. The SG1 stock has more of a nato black colour backplate but the standard stock is blue grey and matches the rifle.